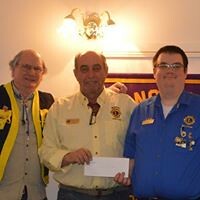 Although this is a quieter time for the Westport Lions Club, they are still taking care of a number of projects and activities to benefit this community. Over the first few months in 2013, they have taken the opportunity to support local restaurants by holding their dinner meetings at a different location in the Village. 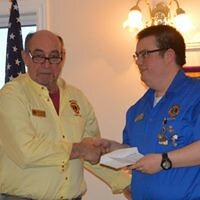 It has proven to be very worthwhile and on March 27th., they will gather at Steve’s Restaurant at 7 p.m. Also, the night before they will be guests of the Storrington Lions Club; contact Lion Jim McGlade for details. The Lions Curling bonspiel will be held in Gananoque on March 24th., contact and arrangements are in charge of Lion Gary Warriner. 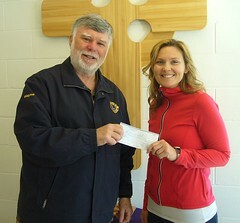 The club has agreed to donate up to $120. dollars toward the cost of this event. The Club are very appreciative of the special annual breakfast at the Cove on April 7, from 9 a.m. – 12 noon when the cove staff will join the Colford and Adrain families as they present their annual fundraiser. This annual event has become very popular and will offer a French Toast breakfast topped off with the fresh Adrain/Colford maple syrup. The blood donor clinic is sponsored by the Canada Blood Services and one headed up by Linda Mather will be held at the Legion on Cty. Rd. No.10. 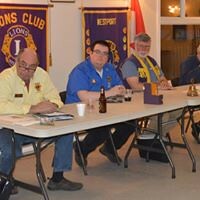 Lions volunteers from the Club are needed for April 23rd. Have you wondered what to do with the pennies gathering in a jar on a shelf, Lion Jim McGlade or any Lions member will be glad to take them and add them to the supply being collected for the “Pennies for Puppies Lions International project” which trains Guide Dogs at Oakville, Ontario. Former District Governor Bill Dixon of Perth is heading up the project in this area and will be happy to add them to his collection for this very worthwhile project. Co-ordinator Lion Jim McGlade is asking for volunteers from the Club to help out by donating pennies.